Even if you don’t label yourself as “fashionable,” all of us know how important it is to look good. Not only does it increase our chances of getting a good date for the next weekend, but people notice and appreciate how we look if we dress nicely, and that in turn gives us a boost in confidence that has us walking just a little bit straighter. However not a lot of things stay in fashion for long. What’s popular this week might not be popular next week, and as many people know, how good you look can sometimes be dictated by what is the “in look” at the time. When asked what the color of the year is, world-renowned authority for color, Pantone, answered “ultra violet.” This shade can be characterized as “enchanting purple” and is said to give a lot of designers more versatility when expressing their designs. Because of this, designers and fashion houses will surely release capsules dyed in the color of the year, and even casual clothes that have this shade may see a rise in popularity. In addition, those who prefer to wear a calmer tone of ultra violet can choose lavender, which some say can be this year’s version of 2017’s pink trend. In the Philippines, despite the scorching weather especially during the summer months, leather is still a very popular fabric. Especially when taking a Sunday cruise on the motorcycle, nothing beats donning the old leather jacket-and-shades combination and going out for a ride. Leather boots, as well, have seen a steady rise in popularity especially in some university students. No matter what though, leather is always something that looks good on just about anyone. However, just take care to stay cool when wearing any because chaffing is an extremely uncomfortable experience, especially in the tropics. Something that is usually only seen within the confines of a bedroom will be coming out of the closet this 2018. Clothes like tops and dresses made from sheer mesh or other near-transparent materials are seeing a rise in popularity, and even a lot of fashion shows and events already showcased these translucent numbers. However, considering that generally our country is still very conservative, and a lot of our young people are not as fashionably liberated as some of those in western countries, it is still best to wear these kind of garments in moderation and to remember fashion is mostly the right look at the right time and place. It seems for 2018 the fashion industry will go crazy for accessories made of plastic. One powerhouse fashion company even did a PVC-themed runway shoe for its 2018 spring collection. A lot of people know that though not usually seen as a wearable material outside of raincoats and boots, it is still a good materiel to make bags and other accessories out of. Another prevalent theme in a lot of 2018s trendy wardrobes are going to be relaxed shapes that give off a carefree and effortless vibe that is sure to be a hit during the heat of summer. Clothes that fit into this category are slouchy, wide pants or large blouses that allow your torso to breathe while still being a chic outfit to rock in most occasions. Fashion trends for this 2018 already show some very familiar themes, and some new ones. Though this list does not compile all the forecasted trends for the year, one can already glean that 2018 is going to be very different from 2017 in fashion. Though what’s popular can be dictated by what the current fashion trend is, one must always remember to wear what you want. Speaking of what you want, Ororama has a bewildering number of options to choose from in terms of apparel. 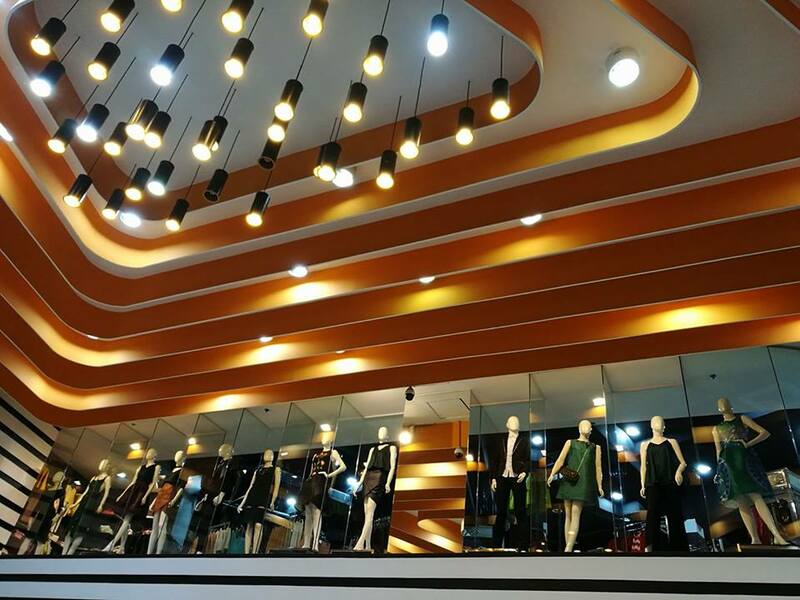 Check the store out and swathe yourself with what may be the next big hits in the world of fashion. 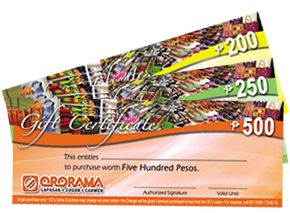 Ororama Gift Certificates are ideal for gifts, incentives and give-aways. They are available in P250, and P500 denominations. For bulk orders, contact 72-8512 or 856-2698. Copyright 2013-2016 ORORAMA - Shopping Center.